WE ARE KID FRIENDLY! Our doctors all have young families and are very understanding and accommodating for the challenge of completing eye exams on young children. Routine eye exams by an optometrist are important to ensure that your child is seeing and performing their best at school. Uncorrected vision problems can lead to headaches, limited attention, and struggles reading. In many cases, uncorrected vision problems may be misdiagnosed or may complicate an attention deficit disorder. The first exam should take place at approximately 6 months of age. Thereafter, children up to age 18 should be seen at least annually. In most cases annual exams are covered by Alberta Health Insurance. Different visual conditions may require an alternate schedule. 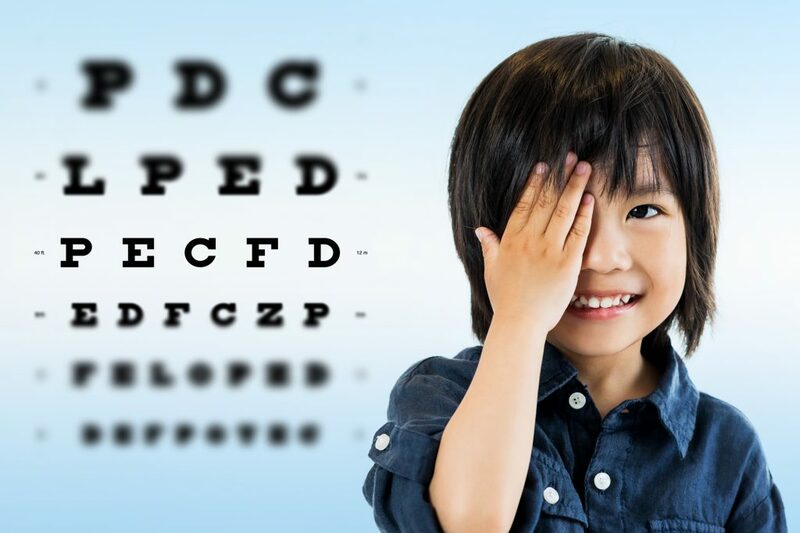 A brief examination of your child’s eyes by a pediatrician or family practice doctor is not a substitute for an eye exam performed by an optometrist. Modern Eye participates in the Alberta Eye See…Eye Learn program to provide kindergarten-aged children with a free pair of eyeglasses. More information >.